2018 has started with a new success for Sebigas, that enters the Belgian market with a contract awarded from Walvert, local company investing in renewable energy projects as biogas and biomethane on the national territory for the last 10 years. The plant supplied by Sebigas is designed for the treatment of byproducts coming from the surrounding food and agricultural industries: cattle and pig manure, slaughter house by products, vegetables by products and corn silage for a total of over 18000 ton/year. 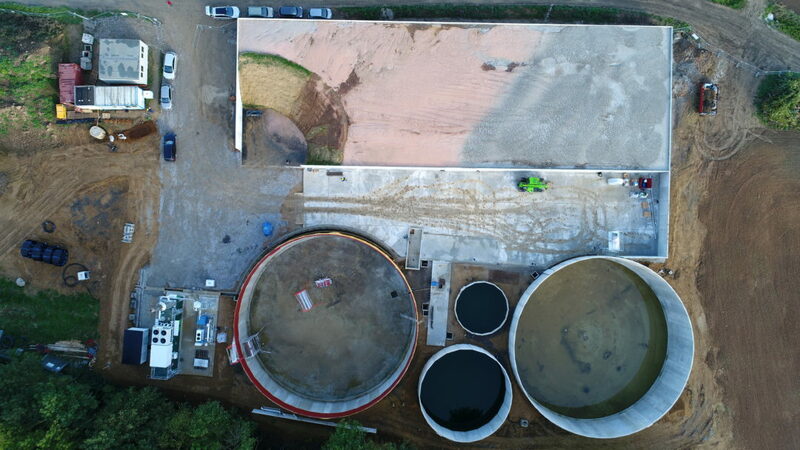 The plant will be very compact, one single digester and one pre-tank, guaranteeing a total production of over 259,6 Nm3/h of biogas, used to produce 600 kWe. The residual thermal energy will instead be used for district heating. The plant, located in Thuin(west Belgium) from where the plant takes its name, will be completed shortly and startup is expected within the second half of 2018. The contract also includes the supply of a pipeline of biogas plants to construct in the coming 2 years.